For some reasons, most of Vietnamese people ride a under 175cc motorbike or scooter . firstly, the bigger motorbike we have to import and the government charge the import tax at least 100% with a huge fee on registration so generally it may cost twice as expensive as in foreign country. ( it’s too expensive for most of people in Vietnam). Secondly, Vietnamese traffic law allows motorbike’s maximum speed is 40 km/h in the city and 60 or 70km/h on high way. 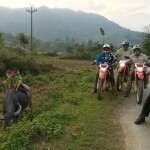 So the bigger bikes seem to be not necessary in Vietnam. 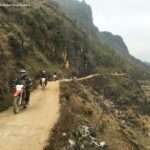 Over the year riding motorbike tours in Vietnam we understood that a high quality bike is one of the most important things to make the perfect motorbike trip. 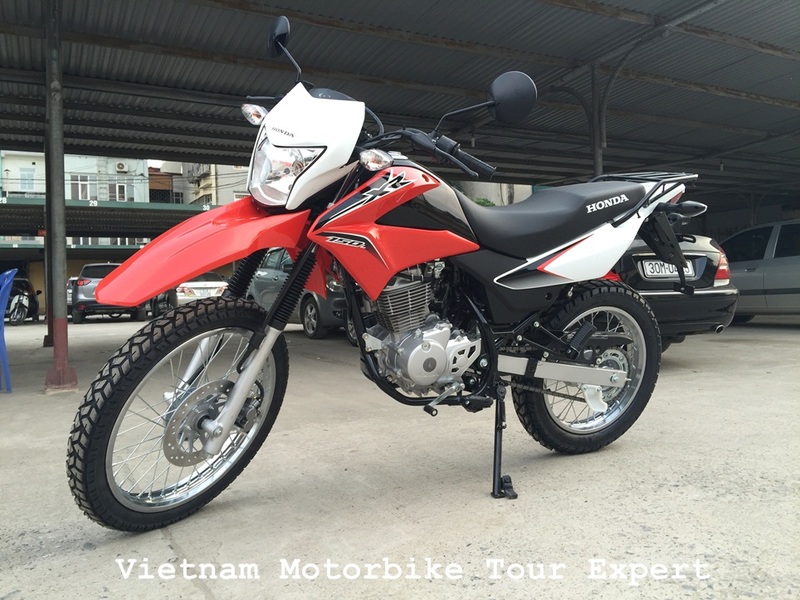 Vietnam Motorbike Tour Expert is always doing our best and being not hesitant to invest a lot of time and money on maintaining good quality of bikes or updating newest possible bikes. Below is the list of bikes we usually used and did have great trips by them! A good, well maintained dirt (trail) bike is the cornerstone of every enjoyable enduro tour. As always, this is a compromise between bike purchasing cost (we’re not sponsored by any motorcycle company – the touring business here is too small to be attractive for any bike manufacturer), bike operating cost, availability of spare parts, reliability and the “fun factor” of the bikes. Considering all this, we purchased four-stroke Honda XL or XR 125, which are fairly lightweight, durable, and a barrel of fun. Made in 2000, Honda XL or XR 125s 4-stroke, 125 cc is a real motorcross for Vietnamese mountain roads where power means nothing as roads are small and have many blind curves. Being just imported in October, 2014, These brand new motorcycles promise to be the perfect ones for most of the road conditions in Vietnam. 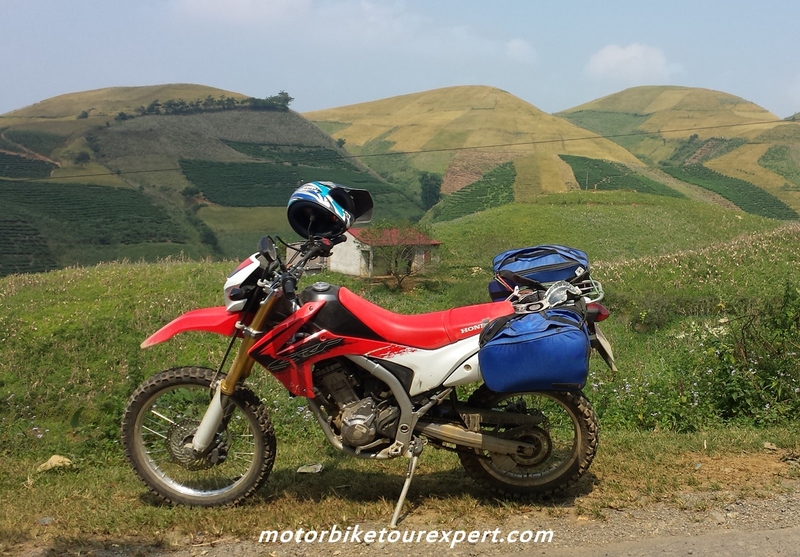 With experienced riders, this kind of bike is the last but not least condition to have perfect motorcycle touring. 5. HONDA BAJA or XR 250cc. A solidly built bike that feels planted and has good balance. Strong front disc brake and durable suspension gives it excellent handling and stopping ability. It comes with a smooth shifting 5 speed gearbox. A comfortable seat that has room for a second passenger. Overall it’s a great touring bike that you can ride with confidence.